More than half the world’s population lives in urban areas. How do we build housing in a sustainable way? 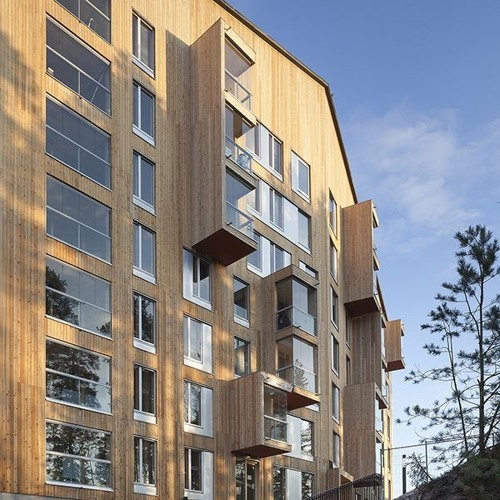 Are high-rise buildings in wood a solution? Can it be done on a large scale? Our host Colm O’Callaghan talks to Anssi Lassila, award-winning Finnish architect, Nils Lindstrand, Editor in Chief at Nordisk träteknik, and Gernot Weiss, CLT expert at Stora Enso.